Dr. Marc Moramarco has been providing Boston area patients with back pain treatment and treatment for other musculoskeletal conditions since 1987. A graduate of Boston University with a BS in Biology, and National College of Chiropractic, he provides care focusing on both pain relief and wellness. He strives to provide a comprehensive approach specializing in neuromusculoskeletal pain that prompts people to seek chiropractic care. Dr. Marc became interested in exercise science while being helped by manual therapy after a sports injury in high school. While at BU, he realized that chiropractic would be the perfect career choice. He focuses on helping individuals and entire families attain and maintain health with a natural enthusiasm for people, upbeat attitude, and added dose of humor. He offers hope and help for a wide variety of health conditions, chronic or severe, that have not responded to traditional medical approaches. Moramarco Chiropractic is the only area facility with the Pneumex Unweighted Exercise System. Patients with low back pain, sports injuries, gait problems, etc. can benefit from Pneumex, which can also help enhance athletic performance. Dr. Moramarco has post-doctoral training as a Certified Chiropractic Sports Physician, CCSP, and has used the system to rehabilitate local NFL athletes. The Pats were so impressed, they added Pneumex to their training facility. 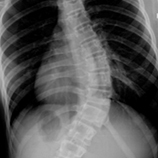 Dr. Marc is also an expert in the non-surgical treatment of scoliosis. He became the first US practitioner certified in the Schroth Method at the acclaimed Asklepios Katharina Schroth Clinic, in Germany, 2007. The Schroth Method is a curve-pattern specific exercise and breathing technique for scoliosis management. He initially visited the in-patient clinic in 2002 in search of a way to help his own daughter. Upon recognizing its far reaching benefits for the scoliotic, he set forth on a mission to bring the Schroth Method to the US. He established Scoliosis 3DC to show others how to take an effective, proactive, non-surgical approach while living with scoliosis. Since 2007, patients have come to the Boston area from twenty-five countries and five continents in search of his expertise and passion for helping adolescents and adults with scoliosis. He is a founding member of SOSORT – The Society on Scoliosis Orthopedic and Rehabilitation Treatment, and on the editorial board of SCOLIOSIS and the International Journal of Rehabilitation, both online publications dedicated to scoliosis research. He believes his work with hundreds of scoliosis patients using the German scoliosis therapy has made him a better chiropractor because of his unique understanding of the nuances of minor postural imbalances and their effects on pain throughout the entire body. He is a New Jersey native, married and the father of two great kids, now young adults. When not helping others at his chiropractic clinic, he loves to travel with his family. He is passionate about helping people and his profession. Set an appointment today!